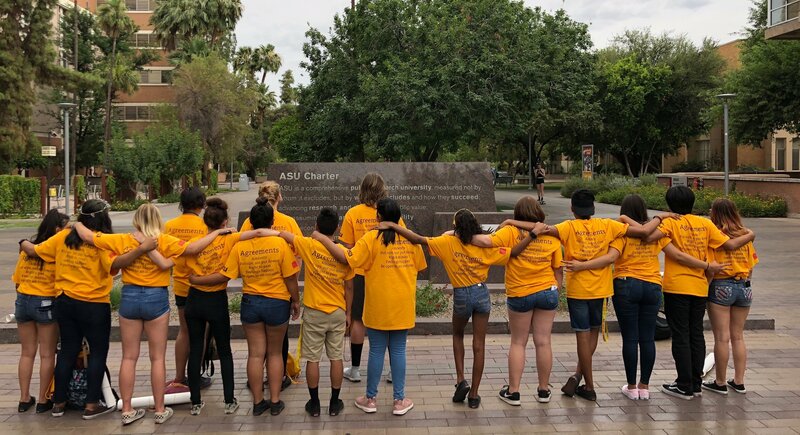 PHOENIX and TAMPA, Fla. (Dec. 12, 2018) — In Arizona and elsewhere, all too often young people in foster care lack opportunities to develop the knowledge and skills they need to navigate the world after foster care – and many find it challenging to lead safe, satisfying and productive adult lives as a result. In response, WellCare Health Plans, Inc. (NYSE: WCG) announced today the WellCare Community Foundation has committed $500,000 to First Star, Inc. in support of its Academy initiative, a groundbreaking educational program that gives high-school age foster youth the support they need to transition successfully to college or careers. Through its donation, WellCare will help First Star dramatically expand its presence by more than doubling the number of foster youth served in Arizona, according to First Star estimates. Today, Arizona’s foster population totals approximately 17,000 young people across the state. As foster youth age out of the foster care system, they often face critical life decisions related to their health, safety and education. To support this transition, First Star partners with child welfare agencies, universities and school districts to make a long-term investment in foster youth and provide essential support on the path to adult life.